WERE YOU INJURED OR A LOVED ONE DIED IN A FIRE OR AN EXPLOSION IN NEW YORK? Our New York fire accident attorneys help victims who have suffered burn injuries or other severe injuries or sustained significant property damage, as a result of a gas explosion, steam explosion, pipe explosion, manhole explosion or other fire accident. Although many attorneys claim to handle explosion and fire accident cases, the simple truth is that not all law firms are equipped to handle these difficult matters. Usually in these types of cases, the property damage is severe, the medical costs are high and the pain and suffering and other losses can be immeasurable. In addition to the complicated technical issues surrounding these claims, explosion and fire accident claims often involve the application of complex federal and state laws and regulations and industry standards. A law firm with the resources, experience, and personnel necessary to properly investigate and pursue the claim is crucial. $ 12,400,000 for a woman who died in a gas explosion in Floral Park, Queens, New York. $ 6,500,000 for a man killed in an explosion as a result of a defective propane tank. Explosions and fires are among the most devastating and overwhelming events that occur on a regular basis throughout New York. They often lead to serious burns or other catastrophic personal injuries and death, as well as the destruction of property. Explosions and fires are seen throughout the state in all manners of locations and circumstances, including improperly protected construction sites, defective home propane tanks, flammable or highly combustible fuels in certain industries, improperly designed gasoline tanks on a motor vehicle or other fuel-powered equipment, defective smoke detectors or fire alarms, faulty wiring in a new house, or negligent maintenance of public electric or gas utilities. Each of these negligent acts alone is enough to cause an explosion or fire or to create an environment where a minor fire becomes a catastrophic event. New York law allows victims of explosions and fires, including firefighters and rescuers, to recover for injuries, death, and property damage when the explosion or fire was caused by negligence. It is a weekly, if not daily, occurrence for there to be a news report of an explosion or fire somewhere in New York. Victims need both immediate and long-term help, including help from experienced lawyers, to protect their rights and move toward recovery. 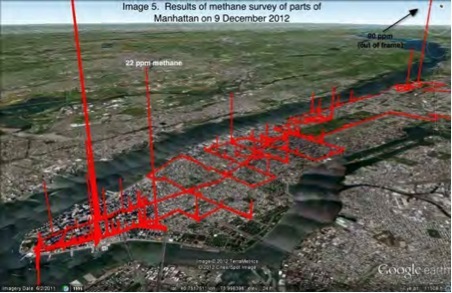 Gas explosions have a high propensity of happening in New York City because the City’s gas distribution system is one of the oldest in the country. 60 % of the gas mains that provide gas to customers in the city are still made of cast iron and unprotected steel. The cast iron pipes were installed more than 100 years ago and the bare steel pipes more than 50 years ago. Both types of pipes are prone to leaks. Leaky pipes can lead to gas explosions and fires and pose a safety risk to the New York City crowded urban area. Two companies oversee the gas mains in the city: National Grid and Con Edison. National Grid provides gas to Brooklyn, Staten Island and Parts of Queens while Con Edison covers Manhattan, the Bronx and Northern Queens. Con Edison has a much higher leakage rate than National Grid with 83 leaks for every 100 miles of main in 2012 compared to 45 for National Grid according to the Federal Pipeline and Hazardous Materials Safety Administration. Under the “Main Replacement Program” (MRP) Con Edison is replacing an average of 30 miles of Leak Prone Pipes (LPP) every year but a more aggressive schedule may be necessary. The New York Gas Explosion Lawyers at GGSMB&R are concerned that the low price of natural gas combined with Mayor Bloomberg’s previous decision to ban the heating oil #4 and #6 may lead to an increase in demand for gas that cannot be safely supported by the actual gas system infrastructure. Unfortunately, explosion and fire accidents are usually caused by multiple acts and omissions of different parties. The causes of explosions and fires can often be traced back to human error or corporate negligence. The reality is that those individuals or companies that cause explosions and fires usually have significant resources to enable them to aggressively defend themselves. Determining the cause of an explosion or fire, and who should be held accountable for the injuries and damages caused, is usually a matter that requires swift action on the part of the victims’ attorneys to investigate the cause of the explosion or fire. This necessarily requires an attorney to retain the highly specialized experts needed to determine the cause of the explosion or fire and the manner in which it could have been prevented. Our attorneys have worked on numerous occasions with some of the leading national experts in the fields of explosion and fire prevention and cause and origin to properly litigate these complicated and hard-fought cases. The New York explosion attorneys at Gair, Gair, Conason, Rubinowitz, Bloom, Hershenhorn, Steigman & Mackauf advocate for our clients' full financial recovery through detailed, meticulous preparation for trial. If you have sustained significant property damage, suffered a serious personal injury or a loved one died as a result of an explosion or a fire accident, please contact our firm to discuss your case.